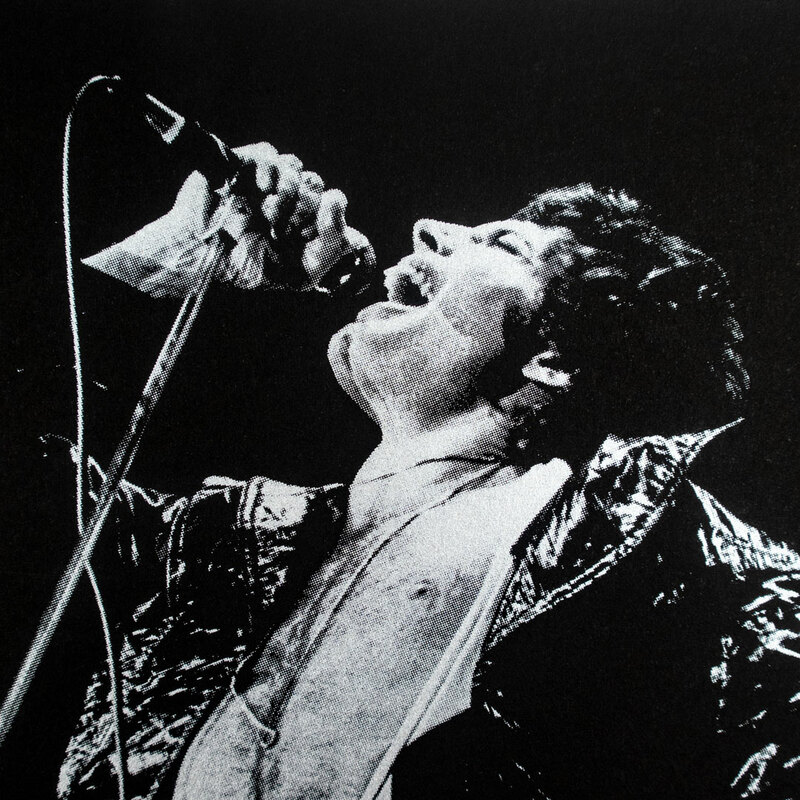 We are excited to welcome in photographer Janet Macoska with her debut RUN featuring none other than Queen's charismatic Freddy Mercury, captured in the band's 1977 tour. 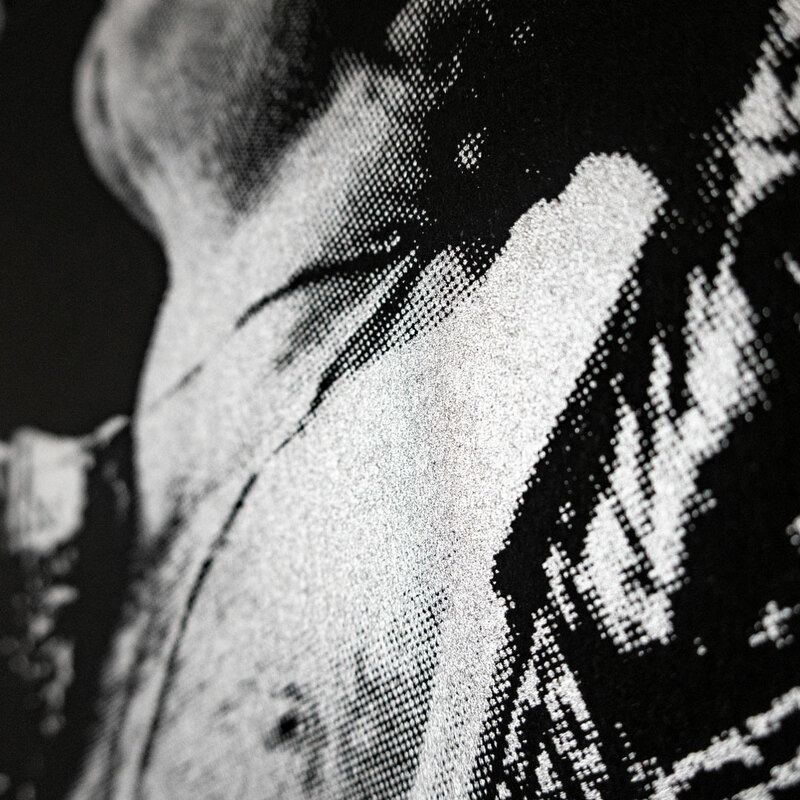 Available in two hand-pulled screen prints Bohemian Rhapsody captures Mercury at his best, live and on stage in front of a crowd. 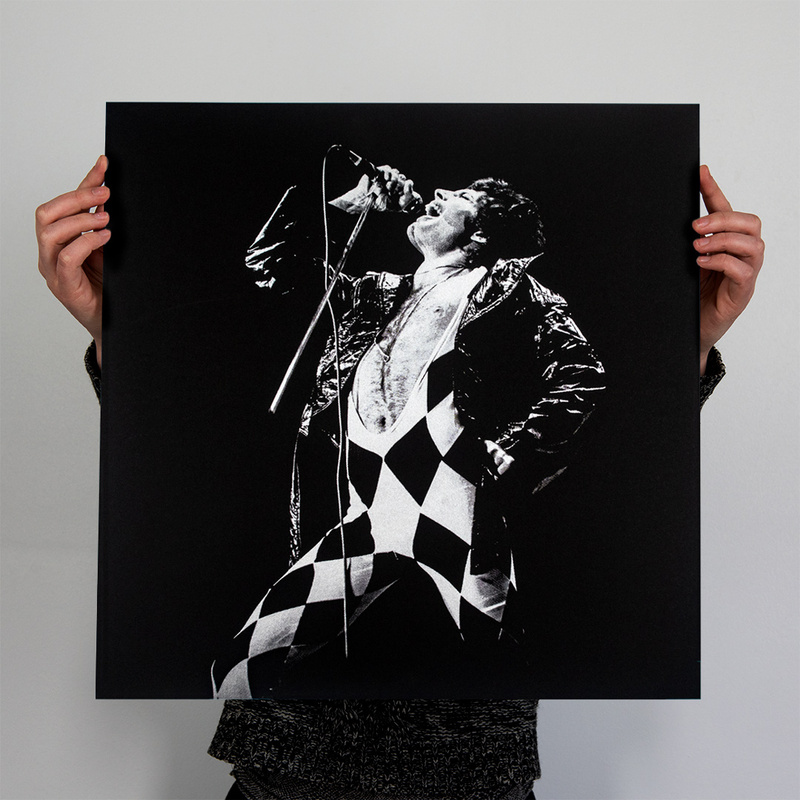 The Bohemian Rhapsody - Mono Edition showcases Mercury's energy through stark silver and black, while the Bohemian Rhapsody - Stereo Edition bursts with color, inspired by Queen's landmark Live Killers tour. 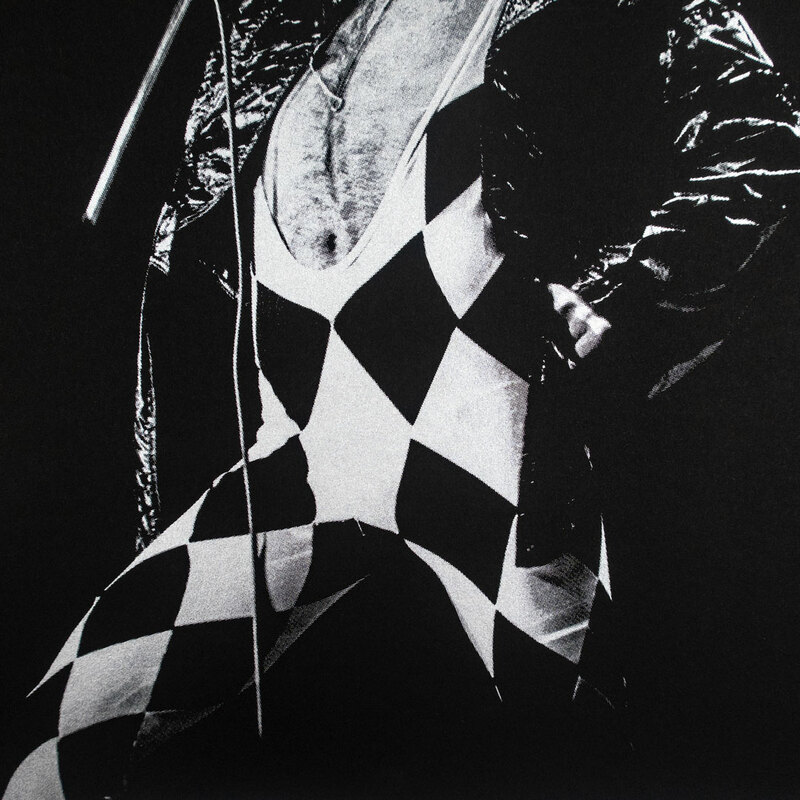 Read on as we caught up with Janet Mascoska to discuss this classic Freddy Mercury image, her beginnings as a photographer and much more . . . This RUN comes signed and numbered with a Certificate of Authenticity from Janet Macoska and 1xRUN. 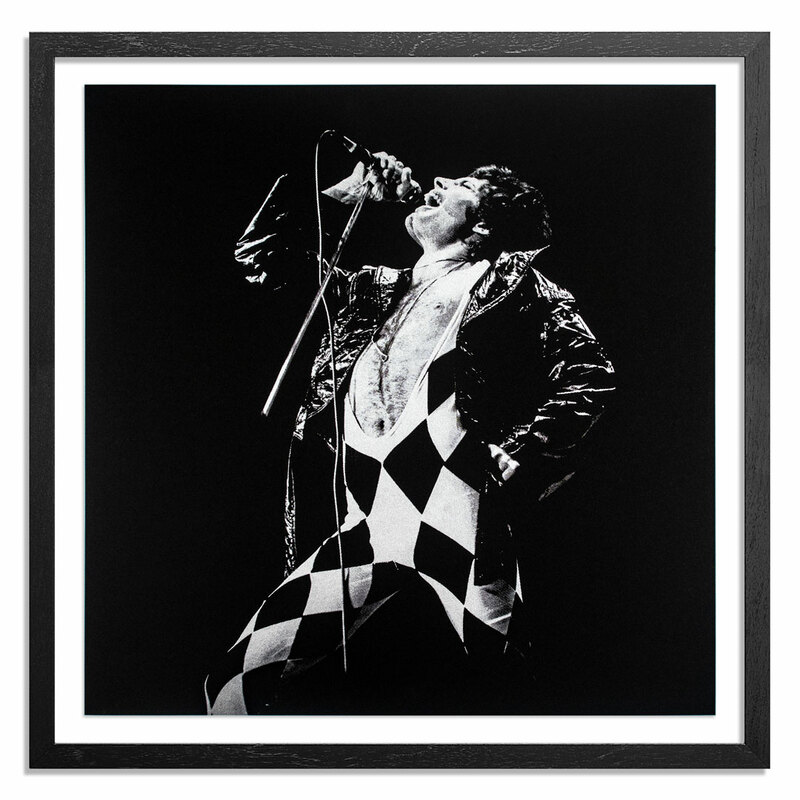 The framing option for this RUN includes float-mounting in a 1 inch black wood frame with UV-glass, foam core backing and ready to hang hardware. 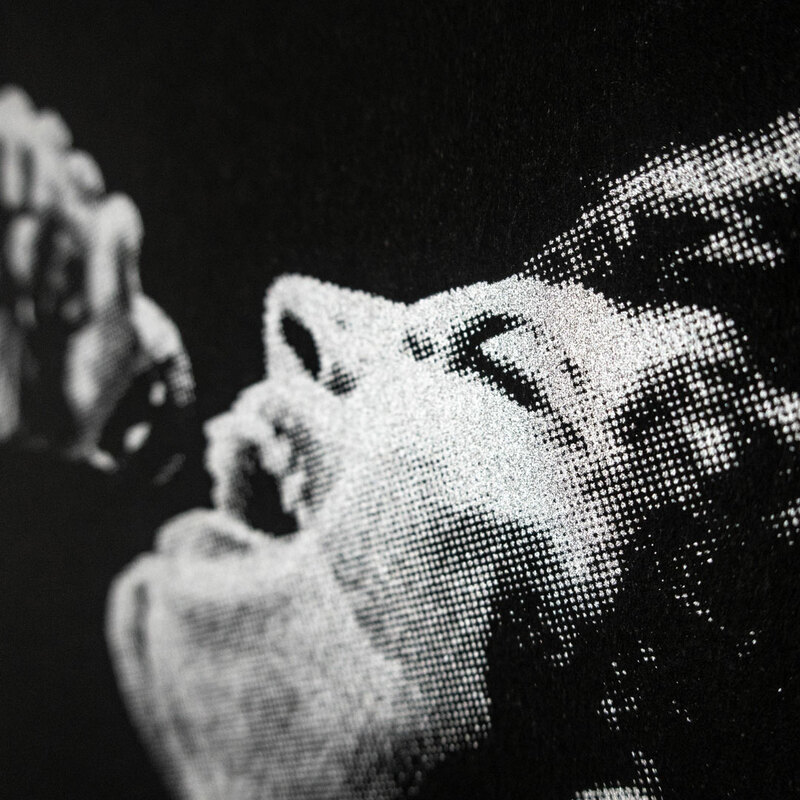 Janet Macoska grew up with a love for rock and roll and photography. 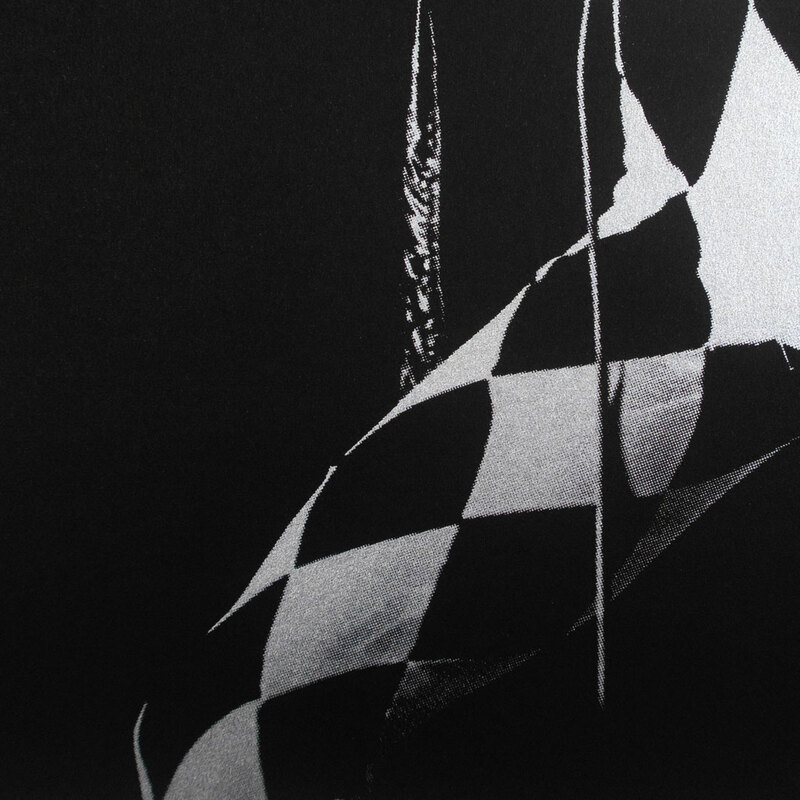 As early as age 12, she combined both, photographing rock duo Sonny and Cher at Cleveland radio station WKYC. That photo became her first published photo in a 1967 issue of ​Teen Screen Magazine. Since 1974, Janet Macoska has been capturing rock's greatest on film....and now in pixels (digital). Among the publications who have used her photos are Rolling Stone, People, Vogue, American Photo, Creem, 16, Teen Beat, MOJO, NY Times and London Times. 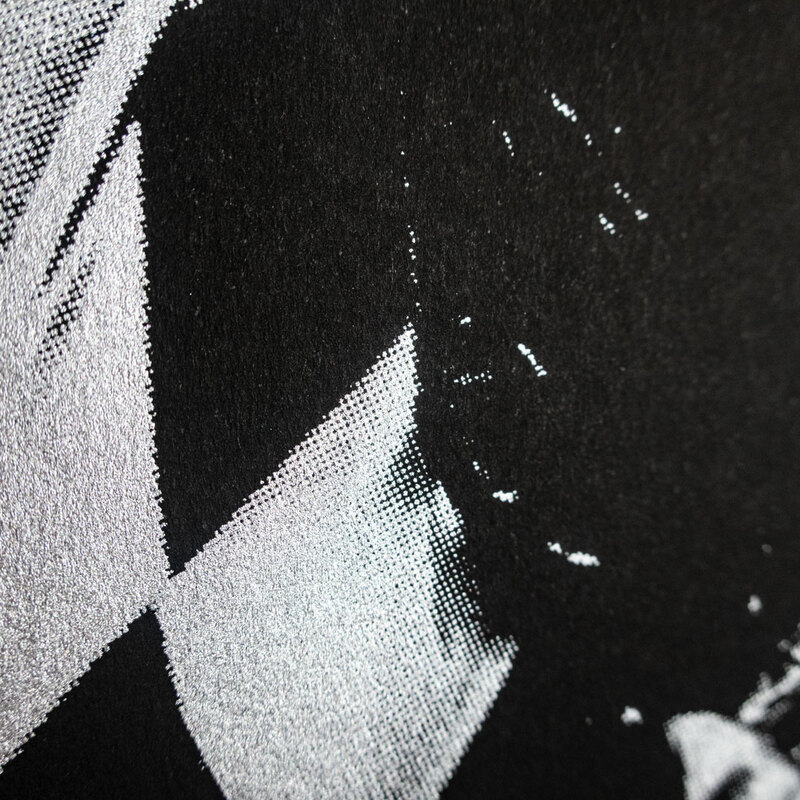 VH1, Bravo, A&E and the BBC regularly use Macoska's vast archive in their "rockumentaries." Her work is in the permanent collection of The Rock and Roll Hall of Fame, The Smithsonian Museum of American History, The National Portrait Gallery in London and in Hard Rock Cafe restaurants, hotels and casinos all around the planet. David Bowie, Led Zeppelin, The Clash, DEVO, Heart, Hall and Oates, AC/DC and The Kinks are just some of the artists who have used her photos on their cds. 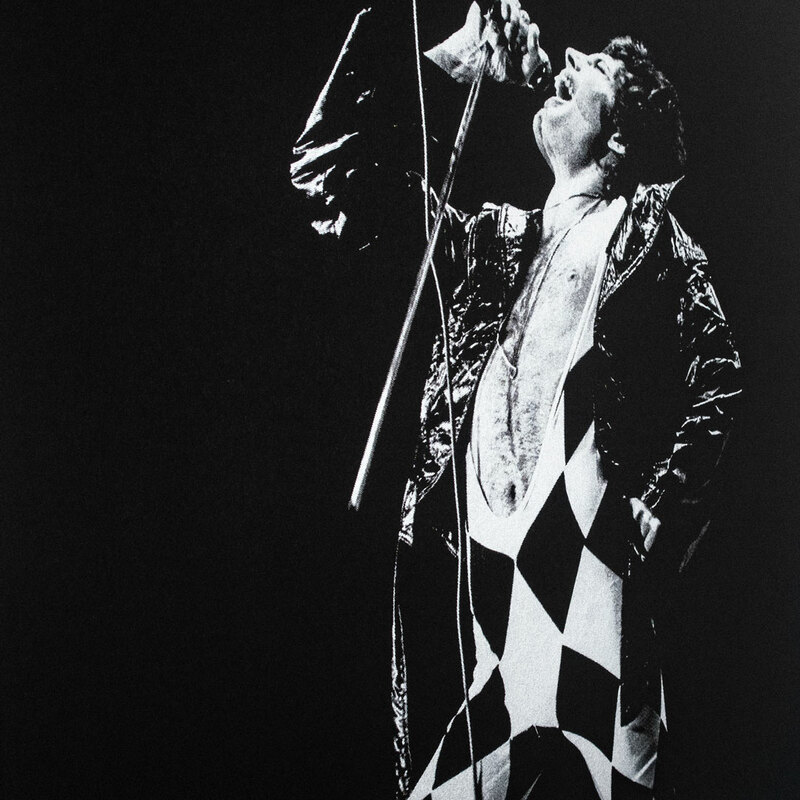 The Rock and Roll Hall of Fame and Museum presented an exhibition of her photography in 2003 entitled, "It's ALWAYS Rock and Roll". That exhibition has since toured to The Women's Museum in Dallas (2009), The Canadian Exposition in Toronto (2010), The Cornell Museum of Fine Arts in Orlando (2011), South Shore Arts in Indiana (2012), The Longwood Center for Visual Arts in Virginia (2013), The World Intellectual Property Conference in Geneva, Switzerland (2015) and The Gulf Coast Explorium Science Center in Mobile, AL (2016). The Rock Hall and Macoska joined forces to create a unique exhibition of her photographs in 2013 for Cleveland Hopkins International Airport. Presently, Macoska shoots for The Hard Rock Rocksino Northfield Park, The Rock and Roll Hall of Fame, Tri-C JazzFest Cleveland, Playhouse Square Center, and for many corporate and music clients. She often speaks at museums and universities about her career as a photographer in the music industry. Her first compendium of her rock and roll photographs was published in 2015, titled ALL ACCESS CLEVELAND - The Rock and Roll Photography of Janet Macoska (co-authored with Peter Chakerian; published by Cleveland Landmarks Press).